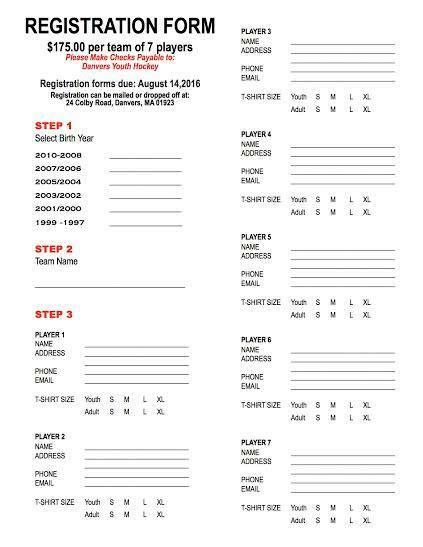 2015 Street Hockey Classic Reg. 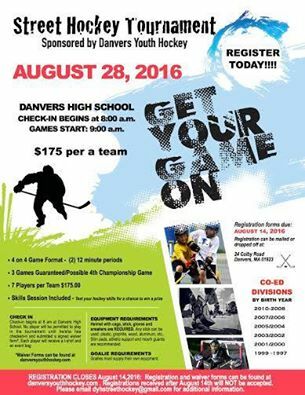 Form *- This form is to register a team for the 2015 Street Hockey Classic, to be held Aug 8 at Danvers High School. 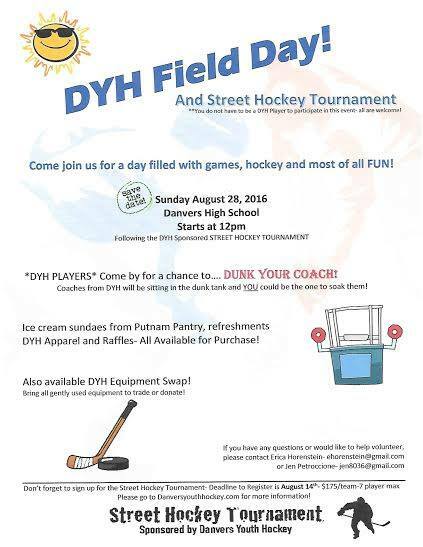 2015 Street Hockey Waiver *- Players participating in Danvers Youth Hockey's annual street hockey tournament must complete this waiver. 2017 Falcon Awesome Day Flier *- Street Hockey Classic and Season Opener! 8/27/17! Bertucci *- Bring this flyer to the Beverly Bertucci's Location and 15% of your entire bill will be donated back to DYH! Bertucci Fundraiser Night! Sunday January 29 *- Bring this flyer to the Peabody Bertucci's Location and 15% of your entire bill will be donated back to DYH! British Beer Company Flyer *- Bring this flyer to British Beer Co on Sunday March 26 and DYH receives 10% of all food sales! Come show your support! Buffalo Wild Wings Fundraising Night- April 23 *- Come out and support DYH at Buffalo Wild Wings! 20% of all sales go back to our program! Calendar Raffle 2017 *- Buy a chance to win gift cards from local vendors! Prizes drawn every day! Buy more than one to increase your chances! Calendar Raffle Slips 2017 *- Calendar Raffle stubs- if you don't need the calendar portion print this out and fill in! 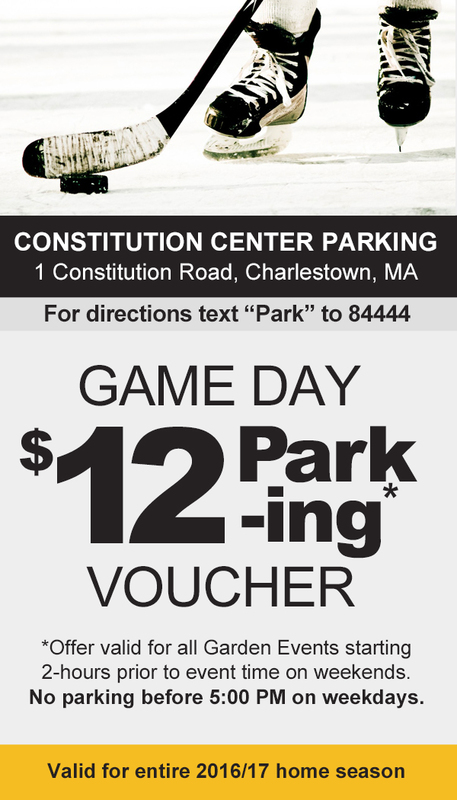 Discounted Constitution Center Parking- Use this voucher to receive parking at a discounted price of $12. Good for all TD Garden events! DYH Photo Order Form 2016 *- Use this form to select and order the package of photos you want from our photo day. Falcons at Providence Bruins Sign-up *- Please print and submit with payment by Friday, 11/18! Fundraising Night @ British Beer Company! *- Come out to British Beer Company on Sunday March 25th and 10% of all food sales will be donated back to DYH! March 2018 Calendar Raffle *- Print as many as you need! Top seller receives a prize!! Completely optional- helps pay for end of year banquet! Panera Bread Fundraiser Flyer *- Join us Sunday February 26 from open to close at the Danvers location! 15-20% goes back to DYH! Papa Gino *- Bring this flyer to Papa Gino's in Danvers, or hand to your delivery driver for DYH to earn 20% of your bill! Team USA vs Canada Order Form *- 10/25 at 7:30pm! Order by 10/13! Email dyhcommunications@gmail.com with questions! Texas Roadhouse Fundraiser- Check out the awesome incentives just for selling Texas Roadhouse gift cards! Texas Roadhouse Fundraiser Flyer *- Please print out this flyer and join us for a night out at Texas Roadhouse! 10% of your total check goes back to DYH! Texas Roadhouse Gift Card Form- If you did not receive an envelope from your coach for the Texas Roadhouse gift card fundraiser you may use this to record your sales! Texas Roadhouse Incentives- Texas Roadhouse offers some GREAT incentives for all kids who sell a minimum of $30 and to the top sellers and their parents! Check it out here! Texas Roadhouse Order Form *- If you have not received an envelope from your coach/team manager please print this form to keep track of your Texas Roadhouse Gift Card Sales!